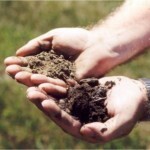 Soil Health: Getting the most out of your land for forages and grasses | EISA e.V. This entry was posted in Publications of EISA Members and other institutions by Andreas Frangenberg. Bookmark the permalink.